The Dundonald Care Team exists to be part of the process of spurring others on. Read on to find out what the Care Team do and why we do it. We live in a broken world. There’s evidence of that all around. Many of us know, first hand, what it’s like to experience illness, bereavement, addiction, anxiety or debt. All of us have family or friends who struggle for days, weeks or years at a time. That is why the Dundonald Care Team exists – to be part of that process of spurring others on. To encourage people within the Dundonald family to keep going in the tough times with their eyes fixed on Christ. To encourage people who aren’t yet following Jesus to consider turning to the Lord in the midst of their pain. Life wasn’t meant to be this way. When God first made the world, it was perfect (Genesis 1). Life won’t always be this way, Jesus promises his followers that one day there will be a new heaven and a new earth where there will be no more death, mourning, crying or pain (Revelation 21). But, for now, we live our lives in the mess of a world gone wrong. Each and every day we have to face things that are hard – things that hurt. The good news, though, is that we don’t have to face these things alone or without hope. The Bible uses many pictures and titles to describe God. He’s our rock and refuge to whom we can run in times of trouble (Psalm 18). He’s our Shepherd, leading us through the good times and the bad (Psalm 23). He’s our Counsellor, teaching us all we need to know (John 14). He’s our Saviour giving us a new start – the past washed away, the future secure and the present lived out in intimate relationship with him (Ephesians 1). Such things are wonderful reminders that we can turn to the Lord for comfort and strength when we’re facing suffering that isn’t our fault – and turn to him for forgiveness when it is! But there’s another image that can be useful to recall: he’s also the head of the body of the church (Colossians 1). And, as part of that, Jesus is building Dundonald into a community centred on him – a community designed to share lives and share love; a community where, at our very core, we are each committed to spurring each other on to love and good works (Hebrews 10). 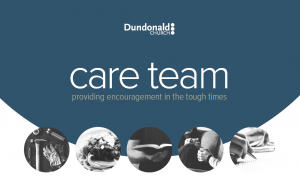 The Dundonald Care Team was established in 2015 as part of the pastoral support network within the church. Many of us within the various congregations are in small groups that meet together weekly – they provide great opportunities to delve deeply into God’s word, pray together and share concerns, and they are the first port of call for care within the church family. But not everyone can be part of a small group: some people are still considering whether to follow Jesus or not, some work awkward shift patterns, some have health problems that make going out difficult. And not everyone’s small group has the experience necessary to do all aspects of the care that’s needed: a group might be really good at praying for someone’s struggles with debt but they may need someone from outside the group to get alongside them to help put together a strategy for getting out of debt. The Care Team provides extra support for people in those kinds of situations (those not in groups and those needing a little more help) – and for people in the community who are interested in finding out what turning to Jesus in their struggles might be like. Over the last 18 months, the team have got alongside over 50 people facing various struggles. Within the congregation, we’ve supported older members needing help with their shopping, gardening, laptop or DIY. We’ve been able to get alongside younger members wanting someone to help keep them on track as they battle an addiction, those facing financial crises and those needing some help with their CV as they prepare for the interviews to come. We’ve helped families whose teenagers are battling anxiety or exam-related stress. And we’ve provided befrienders for those feeling alone – people who can chat, pray and even share the Lord’s Supper from time to time – as well as people who can help those who are from other lands to get to grips with English grammar and vocabulary. Among the wider community (mainly friends of congregation members or those who have directly approached the church for help) we’ve provided meals for the homeless, clothes for children being taken into emergency care and conversations of hope for those who are facing intractable situations. 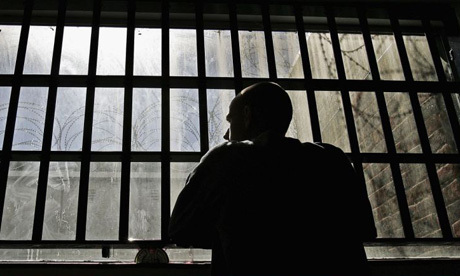 There are ongoing coffees with a lady facing a life-limiting disease who wants to know what lies ahead – ongoing prayers for a woman on remand – ongoing help for a new single mum struggling to make her weekly budget work. And amid all the practical support, conversations about Jesus flow. “Why would I want to go to heaven if my husband won’t be there?” “Why does God allow this pain?” “What does the Bible say about suicide?” “How can I know I’m loved?” are just a few of the questions we’ve heard in recent months. It’s a privilege to serve in this way. We’re not a legal advice service or therapeutic specialists, just ordinary Christians with a variety of gifts that we are willing to share. But we are keen to keep serving. 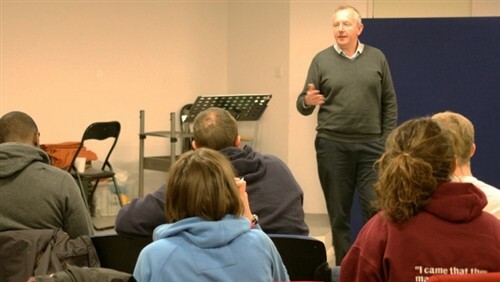 So, if you’re a small group leader within the church and know that someone in your group needs a little extra help – if you’re new to church and would like to talk something through – if you’ve got a friend in the community who would like some gospel-centred support – then feel free to get in touch. The Dundonald Care team can be contacted at: careteam@dundonald.org and will be happy to do what we can to spur you on too.